To protect public health and the environment from exposure to asbestos through the implementation of the Hawaii Administrative Rule, Title 11 Chapters 501 through 504 requirements, and the Neutral Administrative Inspection Scheme (NAIS) developed under the federal cooperative grant agreement with Environmental Protection Agency (EPA). a. Respond to all complaints and service requests received. b. Conduct HAR Chapter 11-501 through 11-504 related inspections. 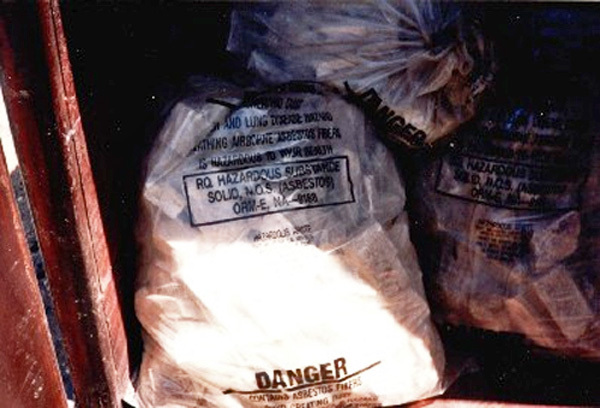 d. Conduct asbestos permitted landfill inspections. e. Conduct audits for asbestos training providers. f. Identify outdated methods, develop and implement standard changes and amend state laws, rules, and operating procedures to be consistent with national requirements. g. Secure adequate resources to effectively implement and maintain the program. Acquire state funding to match federal dollars, collect fees and utilize these fees for operating program costs. h. Receive, review, and record asbestos renovation and demolition notifications and monitor for compliance. i. Provide outreach services for each program through newsletters, informational meetings, brochures, and presentations to agencies/associations. j. Implement the asbestos enforcement policy. Maintain State of Hawaii asbestos abatement accreditation, certification, and registration systems for asbestos entities and individuals. a. Implement audit scheme for accredited training providers. b. Accreditation, certification, and registration processing. c. Provide asbestos abatement entities with correspondence on current issues, interpretations and policy determinations.